We are so lucky to enjoy such incredible summers here in Australia with our outdoor lifestyles, but there is definitely a big downside, and that's mozzies! 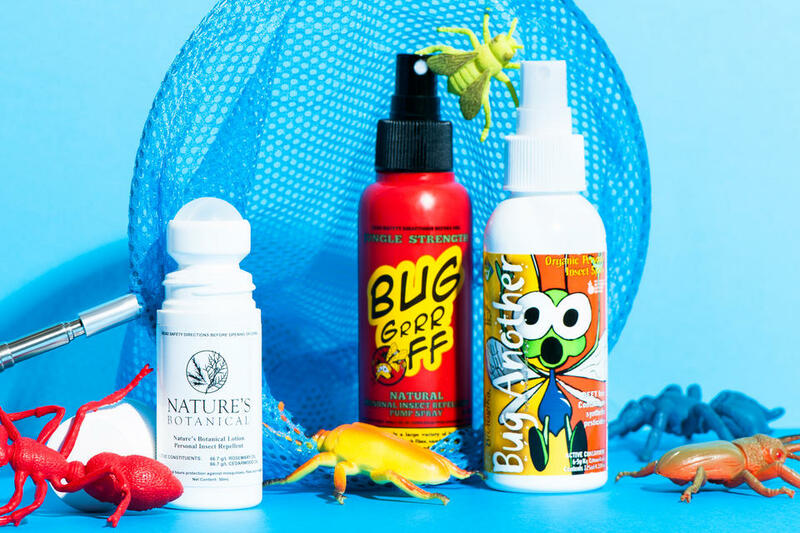 Many mainstream bug sprays can be harsh on the nose as well as skin, so I've put together this guide to natural insect repellents. Insect repellent is often an absolute must during an Australian summer, when bugs and mosquitoes make themselves known during the warmer months by loitering just outside the doors, beside the barbecue and landing uninvited on the beach or by the pool. Not to mention the thousands we are exposed to on camping trips when we're outdoors practically 24/7. There's nothing worse than waking up with itchy mozzie and insect bites! Mainstream insect repellents can contain potent synthetic ingredients to keep bugs at bay, but these can be unpleasantly strong for those who are sensitive to fragrances or have sensitive skin. Designed to repel annoying crawling insects and flying pests like mosquitoes with herbal extracts and ingredients, natural insect repellents can be another option to try for you and your family. 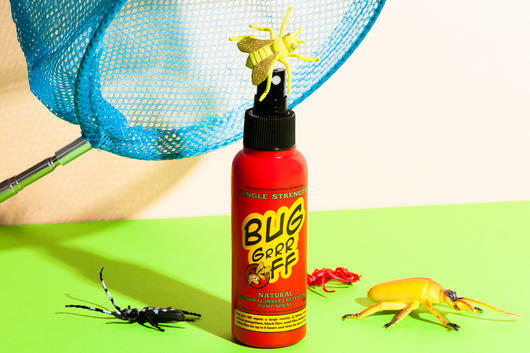 For anyone who needs strong protection in the outdoors, you can try the Bug-grrr Off Natural Insect Repellent Jungle Strength Formula Spray is a quick, easy and mess-free option to help repel insects. This handy spray is designed to repel all kinds of bugs such as mosquitoes, black flies, sand flies, midges and stable flies for up to six hours thanks to a Jungle Strength combination of Oil of Lemon Eucalyptus, Lavender and Sandalwood Oils in a base of soothing and cooling Aloe Vera, Chamomile, Green Tea and Cucumber. Always read the label. 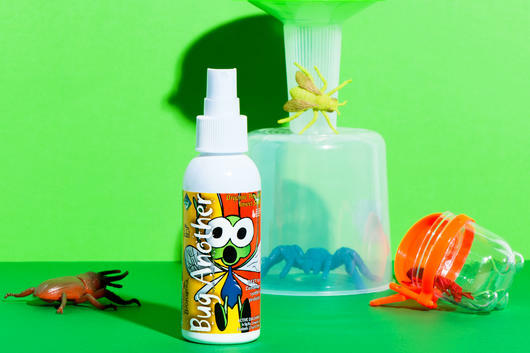 Housed in a handy spray bottle, the high percentage of 6.5% Citronella along with Lavender, Lemon Myrtle, Peppermint and Sage found in Biologika Bug Another Insect Repellent Spray provides both insect repelling properties and antibacterial qualities, with nourishing Aloe Vera and Rosehip to soothe, cool and hydrate the skin in hot sticky weather. Safe for all ages, this ACO approved spray can be applied all over to help deter critters. Always read the label. This Ouch! 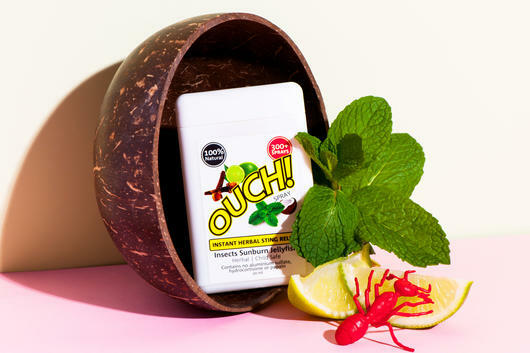 Instant Herbal Sting Relief provides handy sting relief with 100% organic ingredients in a unique pocket-friendly, credit card sized dispenser. This zingy spray smells of Lime, Clove and Mint and helps soothe itches and stings from mosquitoes, midges, bluebottles, sea lice, jellyfish, and sunburn with a delightfully mentholated cooling effect on the skin. The Weleda Burns & Bites Cooling Gel is an essential in your summer first aid kit. Formulated with a blend of herbal and homeopathic ingredients including Arnica, Urtica Urens, Echinacea, Aloe Vera and Nettle, this is a traditional herbal formulation of anti-inflammatory and soothing agents which may help to reduce the itch and swelling associated with not only insect bites but also minor burns and itchy rashes. Remember, if symptoms persist consult your healthcare practitioner. Always read the label. Use only as instructed. Contains ethanol. For the treatment of burns, immediate treatment should consist of the rapid application of cold water for a suitable period and the product should only be applied afterwards. The product is for the first-aid treatment of minor burns only and medical advice should be sought for the treatment of more serious burns.